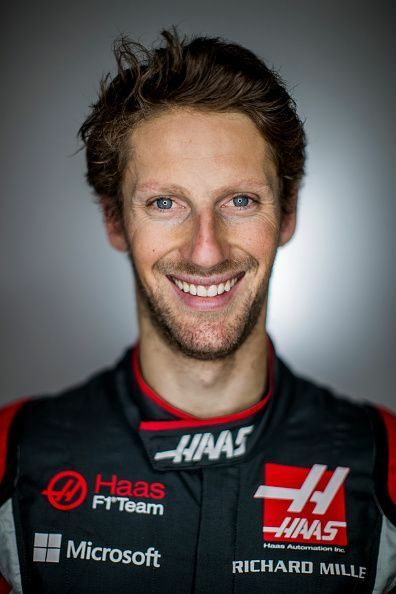 Romain Grosjean is a racing driver who currently drives for the HAAS F1 team. He previously drove for the Lotus F1 Team before moving to HAAS in 2016. Grosjean made his F3 debut at the demanding Macau Guia Circuit, standing in for Loïc Duval at Signature-Plus. Grosjean drove for ART in the inaugural GP2 Asia Series season alongside Stephen Jelley, winning both races of the first round of the championship. He went on to win the championship with four race victories and sixty-one points overall. Grosjean was confirmed as Renault's test driver for 2008, replacing Nelson Piquet, Jr., who graduated to a race seat. He drove a Formula One car for the first time at the UK round of the 2008 World Series by Renault weekend at Silverstoneon 7 and 8 June 2008. He initially continued in the test driver role at Renault for 2009, but took over Piquet's seat in the wake of the Crashgate controversy from the European Grand Prix onwards.